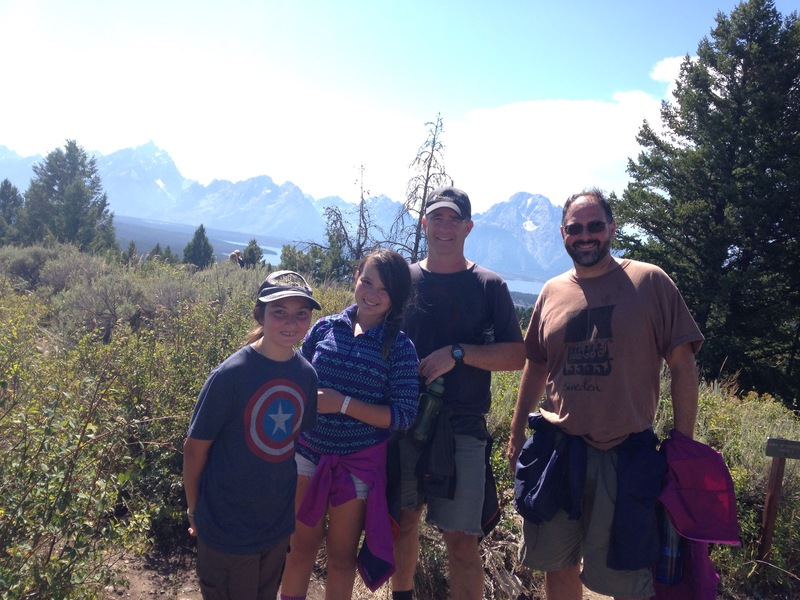 We are on a bit of a vacation hanging out with David and Mariah in the Tetons. A short walk from us is the Signal Mountain Lodge which makes for a handy refuge from serious thunder storms which we had to make use of a few days back. Forecast for next five days alternates clouds and sun with no rain in the picture. Meteorology here though is pretty suspect. A few days ago my wallet dropped out of my shorts in the parking lot near the lodge. I did not know it was missing until hours has past. It was waiting for me at the gift shop. Yesterday I lent twenty bucks to a stranger after realizing she had locked her key in the car. I borrow sugar from a man and then later Corey lends soap to his wife. People keep borrowing Dave’s hatchet and yesterday they returned it with a Korean cinnamon punch drink and a margarita in the can. And so on and so on. This good will is by no means a safeguard from all the world’s misfortune. But it sure makes life more fun. We met David’s mom in her home town of Lady Smith then David and Mariah a few years later. Two years ago we camped together in Washington State and now we are together in Wyoming. Another circle complete. When do you guys come back?